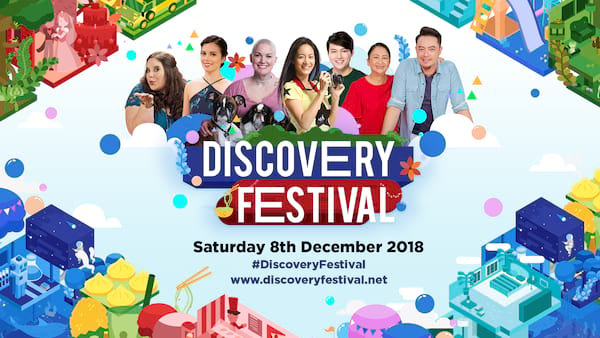 Step into the world of all that is Discovery, and come get all starry-eyed with our celebrities from Animal Planet, TLC and Asian Food Channel! Hear first-hand from Animal Planet star, Amanda Giese, on how she rehabilitates and rehomes animals in Amanda To The Rescue, and adopt a pet or two at the adoption booth in partnership with PAWS. TLC star Whitney Thore has got the moves, so come join her for a dance workout as she celebrates female body positivity and self-love. Also watch out for the intense cook-off between mother-and-son pair Sherson and Ann Lian, and Anton Amoncio from Asian Food Channel; while the ever-bubbly Janet Hsieh returns to team up with gourmet personality Sarah Huang Benjamin to whip up a delectable salted egg dish together on stage! Spruce up the holidays with HGTV with a handmade Christmas wreath, and go home with some unique décor finds at the artisanal Home Bazaar. Sign up for the Christmas wreath workshop here. If you get the hunger pangs, Asian Food Channel has it covered with an array of mouth-watering bites guaranteed to delight!